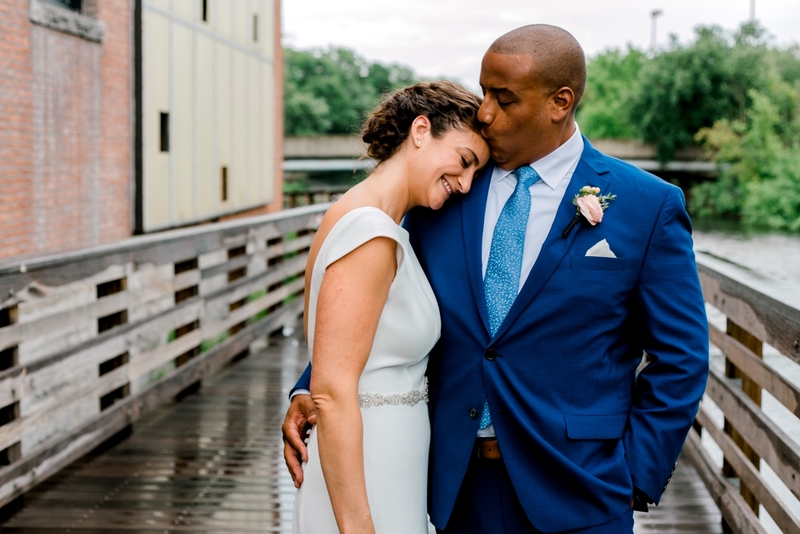 Inside on a rainy summer afternoon, Mark and Deb shared their own personal vows, away from friends, family and intimately just between themselves. This was one of the sweetest moments of my wedding career thus far. Mark clearly adores Deb! I loved capturing this time for them before they joined their guests for a cocktail hour and then…SURPRISE, they finished their ceremony and became officially husband and wife in front of their unsuspecting guests. Married in the mountains of Vermont, what’s more beautiful and special than that! Oh well, it so happened the location for Ryan and Ashley’s wedding was Ashley’s childhood home! With the green rolling hills behind them and tucked away on a quiet peaceful piece of property; surrounded by their closest friends and family, Ryan & Ashley were married. You would never know it, but this wedding day started off with lots and lots of rain. When I arrived to the hotel to meet up with Kara for getting ready photos, it was pouring. I knew we had time with the indoor church ceremony for things to turn around and they did!! It ended up being a gorgeous summer evening when we arrived at The River Club for photos and the reception. With rain threatening for the day, it was a wonderful that it was dry when I arrived and for Niall and James's first look and portraits. As we gathered and prepared to start the ceremony, the skies looked more and more ominous...then they let loose and the rain came down hard. Guests rushed inside to switch locations quickly. No sadness here though, this was exactly what Niall and James wanted; to be intimated surrounded by their friends and family. They made the best of it and enjoyed the coziness under the tent. It was the perfect June day for Leigh and Jason's wedding at one of my all time favorite wedding venues, Willowdale Estate. Beauty carried through out the day. From first seeing Leigh in her dress and how it brought tears to her eyes knowing in that moment this day was finally here, to the quiet moment at the end of the night when we pulled Leigh and Jason aside for a string lit night shot. Every little detail of the day was gorgeous and personal.